We encourage you to attend a 3 day workshop with Michel Garcia, botanist, chemist, dyer, and naturalist! 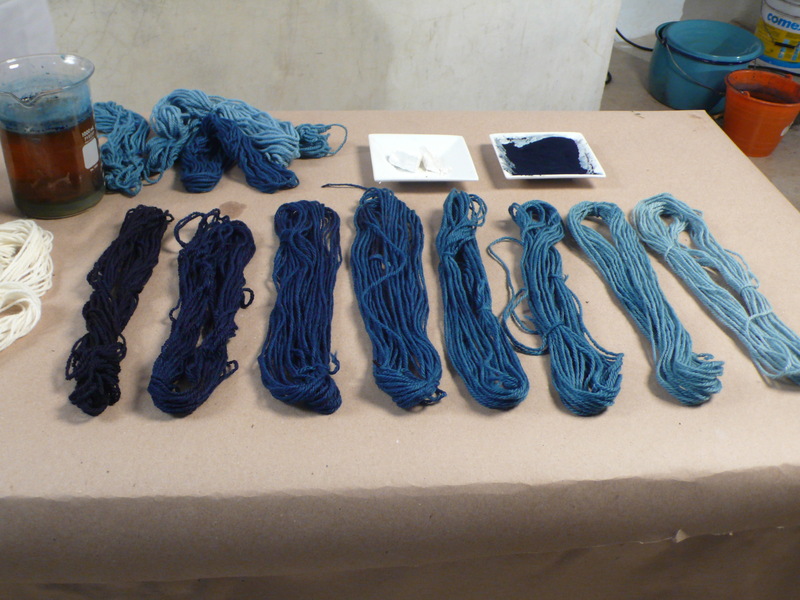 Taking place at studio ZIJDELINGS, in Tilburg, NL, the workshop will explore dyeing on both wool and silk, as well as creating an organic indigo vat, step by step. We have been big supporters of Michel and his extensive research in sustainable dyeing methods, and his workshops at studio Zijdelings. For more information, click here for the website. salt and sugar, it is possible to prepare a quick and efficient indigo vat for wool and silk. Some samples will be done with the vat on various types of fabrics (wool and silk). then some sheets of paper will be done. This entry was posted on 15 March 2013 by World Shibori Network.